Saturn Inflatable Boats are great with Electric Trolling Motors. 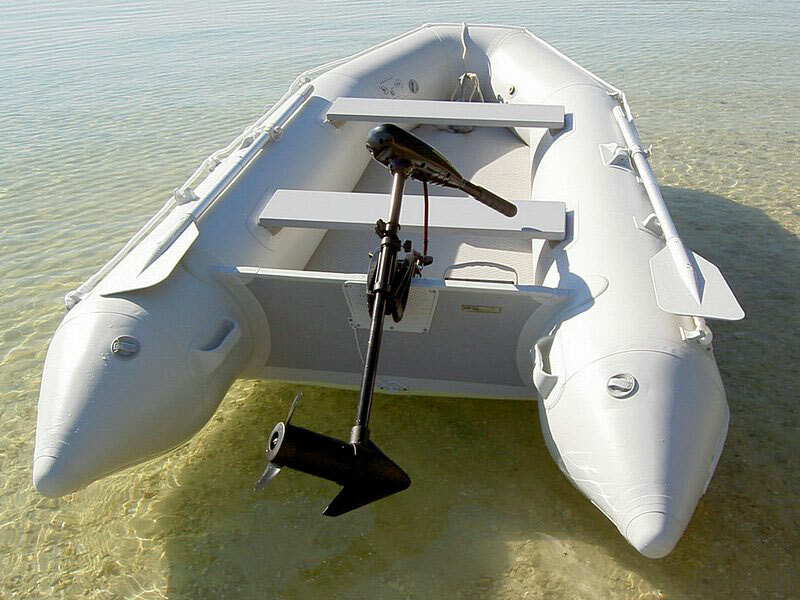 Save over a thousand of dollars by using Electric Trolling motor with Saturn inflatable boats instead of gasoline outboard motor. Electric motors are environmentally friendly and therefore allowed on many small lakes that are off-limit for gas engines. 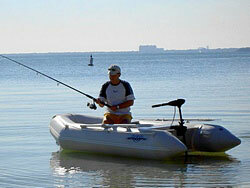 Trolling motor is great for fishing on a lake, river or bay. 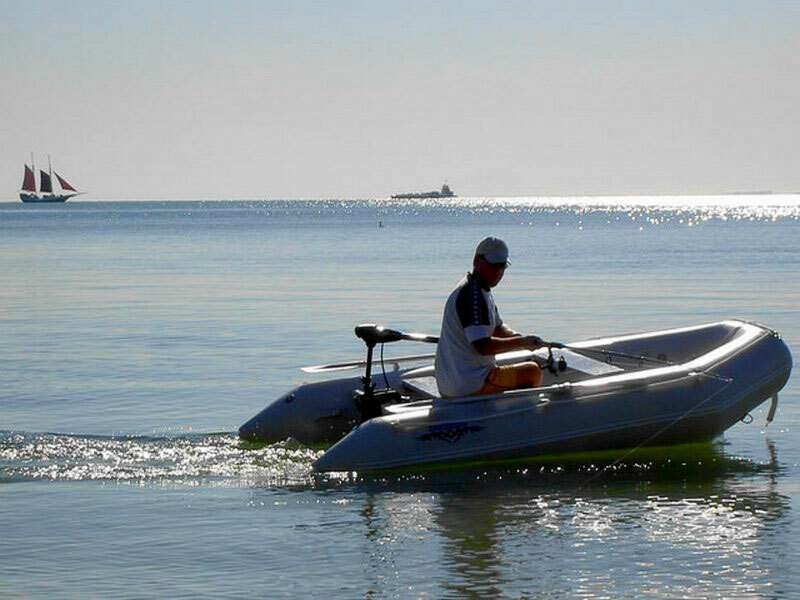 Electric Trolling motor provide acceptable speed and can run for several hours depending on speed and battery capacity. It will not fly your boat, buy electric motor will move boat nicely and quietly. 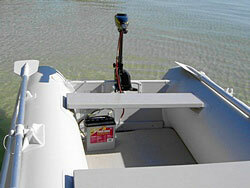 Approximate speed for 30 lbs motor installed on SD330 boat as tested below was around 5 mph. 11' SD330 running with 30 LBS Thrust Trolling Motor. SD260 and SD290 will run even faster. Prices for electric trolling motor start an only $94 for 30 LB Thrust Minn Kota Electric Trolling motor. Electric motors are available at such retailers as Bass Shop Pro, Kmart, Outdoor World, Wal-Mart, Sports Authority, etc. Click Here to compare prices for Minn Kota electric motors on-line. 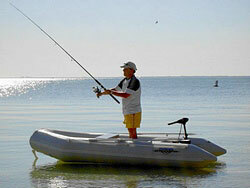 To use Electric Trolling motor you will need Deep Cycle Battery and Battery Charger. Battery meter is also recommended to check for remaining juice in your battery while on a water. Deep Cycle battery cost anywhere from $50 to $120 for top of the line. Charger cost around $20 to $60. Battery meter can be purchased for $14 in local K-Mart store. If large battery is too heavy to carry by hand, you can purchase a small folding baggage cart at K-Mart for round $20. Electric Trolling motors come in different thrust powers. The more power of thrust, the faster boat will go, but more battery power will be drained. Also for salt water it is recommended to use Salt Water ready motor. Otherwise you will have to clean Fresh Water motor with a fresh water after each use in salt water in order to avoid corrosion. 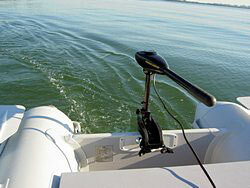 Minn KotaÂ® Riptide Saltwater Transom-Mount Trolling Motors 40 LBS THRUST 12 VOLT. 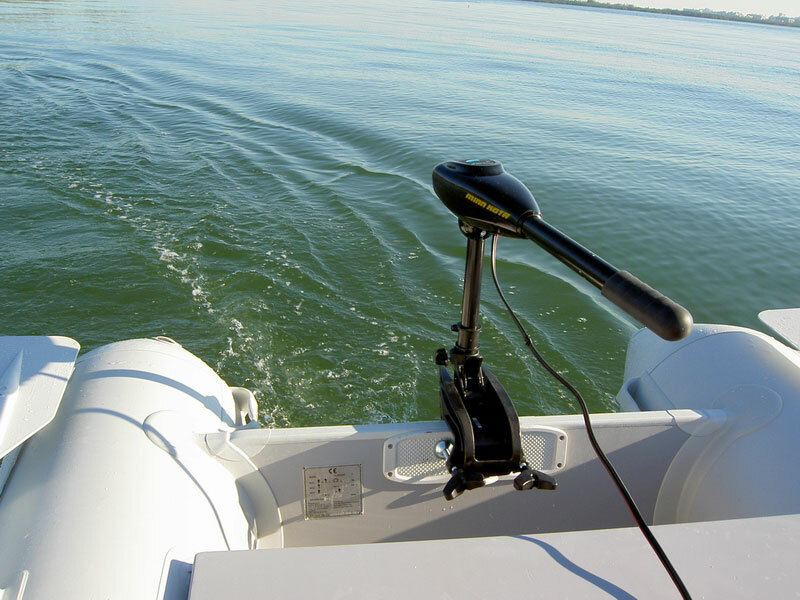 Trolling motor will provide moderate speed for SD260, SD290 and SD330. Great for fishing on a lake, bay or canal. Great economy alternative to regular outboard motor.